A public meeting drew about 100 people, many of whom voiced opposition with signs and stickers against the project. 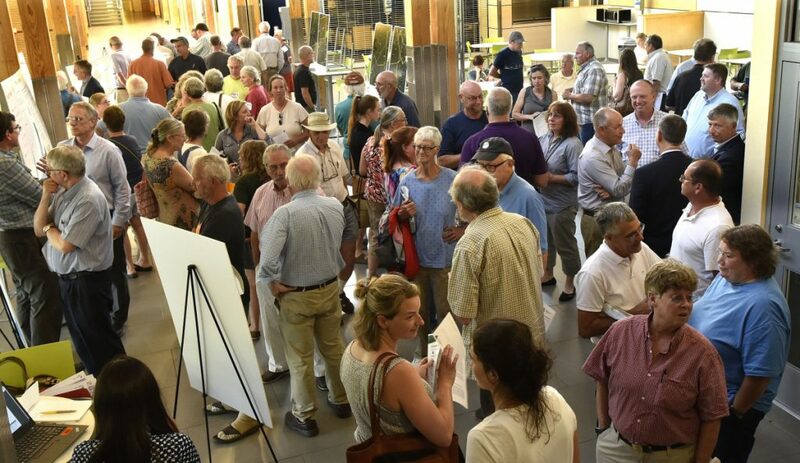 The public information meeting, organized by Sen. Tom Saviello, R-Wilton, and Wilton Town Manager Rhonda Irish, was called to answer residents’ questions about the New England Clean Energy Connect project, which would include about 33 miles of new transmission line through Franklin County. According to CMP, the project would bring on average 1,700 jobs each year to Maine during construction and generate about $73 million annually in wages. The company has also estimated $18 million annually in new property tax revenue, including $1.5 million in Franklin County. Yet some residents and local elected officials have expressed skepticism. 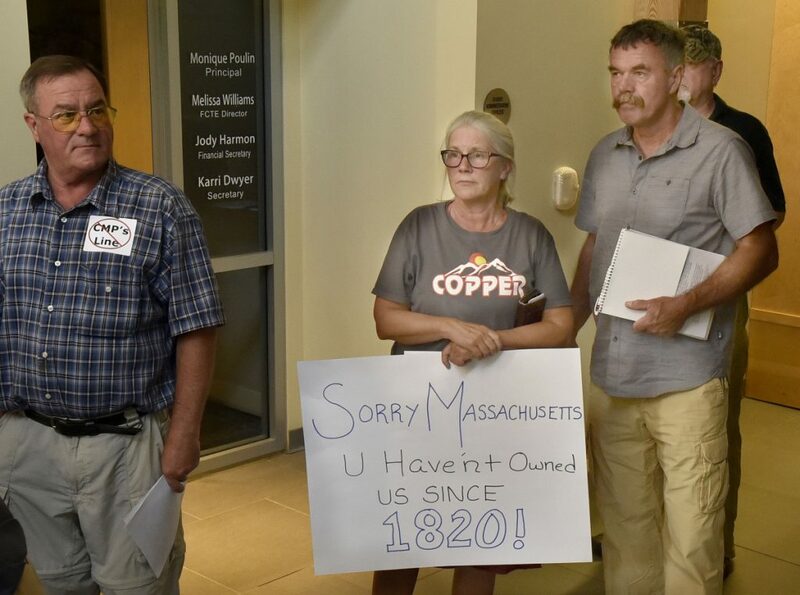 Monday night they questioned CMP about its investment in communities impacted by the line, whether the company can help improve access to broadband internet and how many of the new jobs the company estimates will be filled by Mainers. 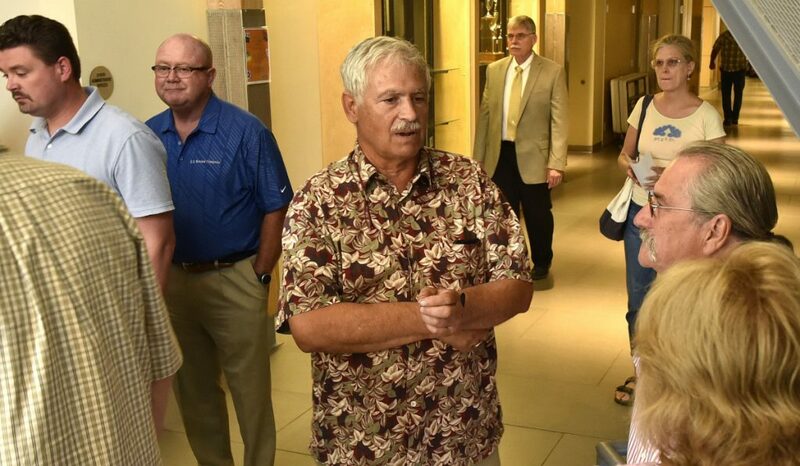 Two elected officials, Gary McGrane, a selectman from Jay, and Tiffany Estabrook, a selectwoman from Chesterville, both asked why Maine is not seeing the same financial benefits with the project that were offered by companies who also bid on the project in Vermont and New Hampshire. Chair of the Wilton Board of Selectman Tiffany Maiuri also asked how many of the jobs CMP estimates creating will be filled by Maine residents. Herling said he didn’t have a percentage but in the past CMP has tried to use contractors that hire Maine residents, though that would likely need to be supplemented with out-of-state hires. When it comes to broadband internet, CMP officials also said nothing is definite yet, though they are open to conversations with Franklin County towns about how the new power line could also help bring broadband access. The proposed New England Clean Energy Project, which CMP is planning after being awarded a bid from the Massachusetts Department of Public Utilities, would consist of 189 miles total of transmission line carrying hydropower from Quebec to Massachusetts. 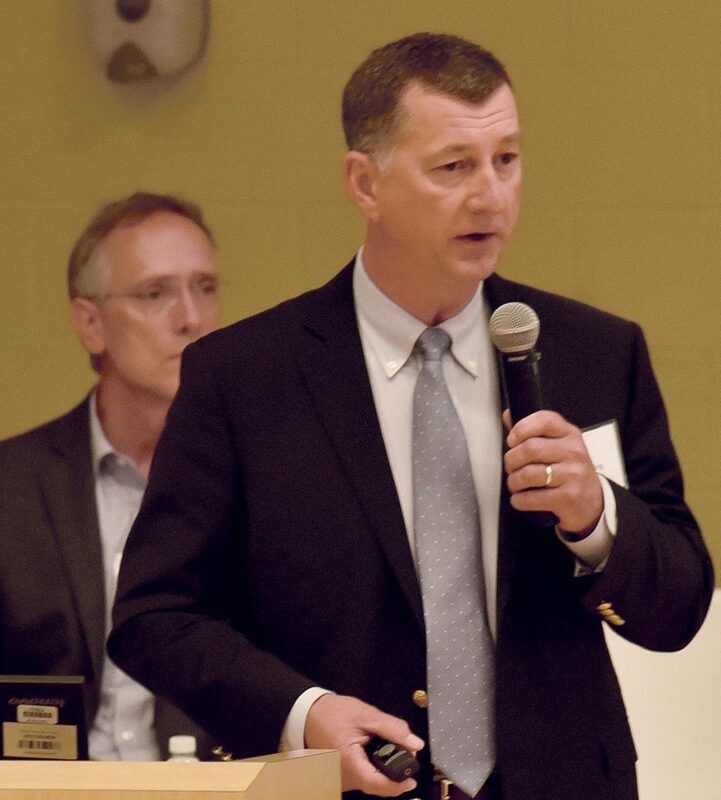 Recently, the project has drawn scrutiny in Franklin County after Saviello encouraged communities to question whether they could be receiving more benefits from CMP, a subsidiary of Avangrid. Both the Natural Resources Council of Maine and the Maine Renewable Energy Association are opposed to the project. In a joint statement with the New England Power Generators Association Monday, the Maine association said electric generators in Maine are concerned the line would not lower electricity rates in Maine and would undermine investments in Maine-generated renewable power. 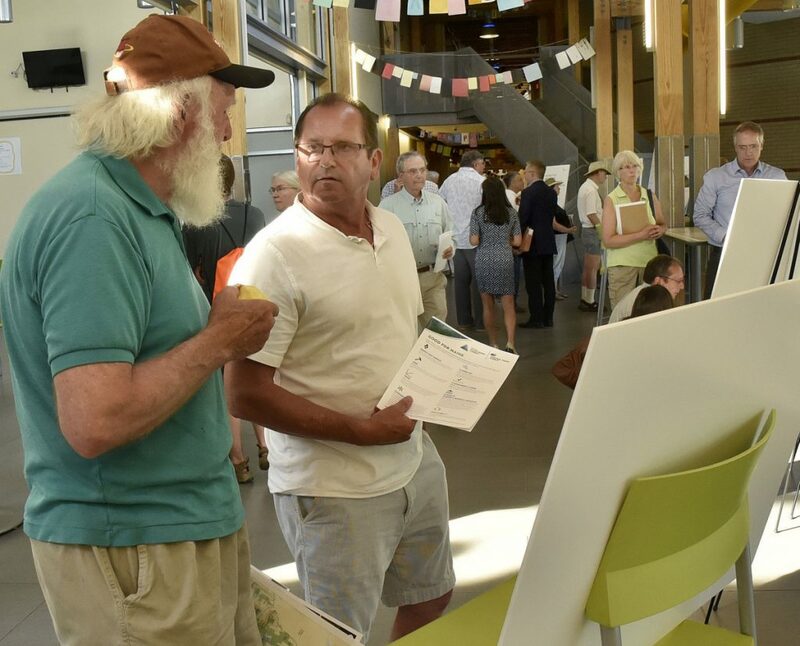 Monday’s meeting was largely focused on answering the questions of Franklin County residents and officials, but it also attracted people from neighboring Somerset County, which will also be impacted by the line. 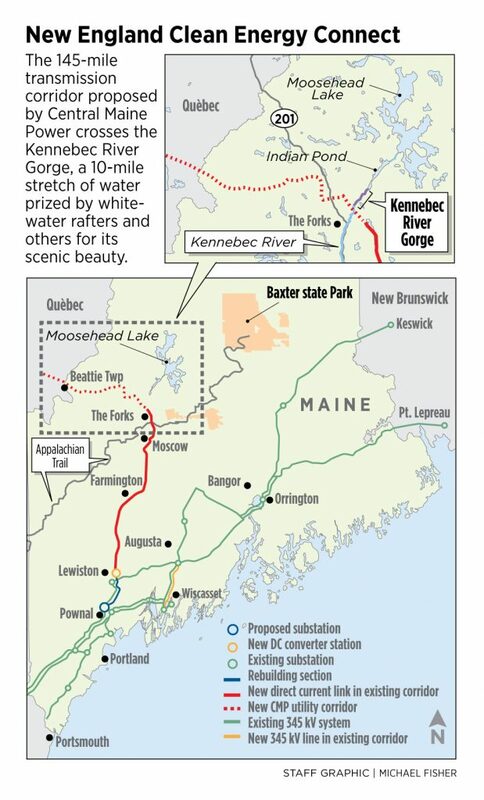 Peter Dostie, who owns Hawk’s Nest Lodge in West Forks, said he is opposed to the project because of the scenic impacts it will have in Somerset County, particularly around the Kennebec Gorge. 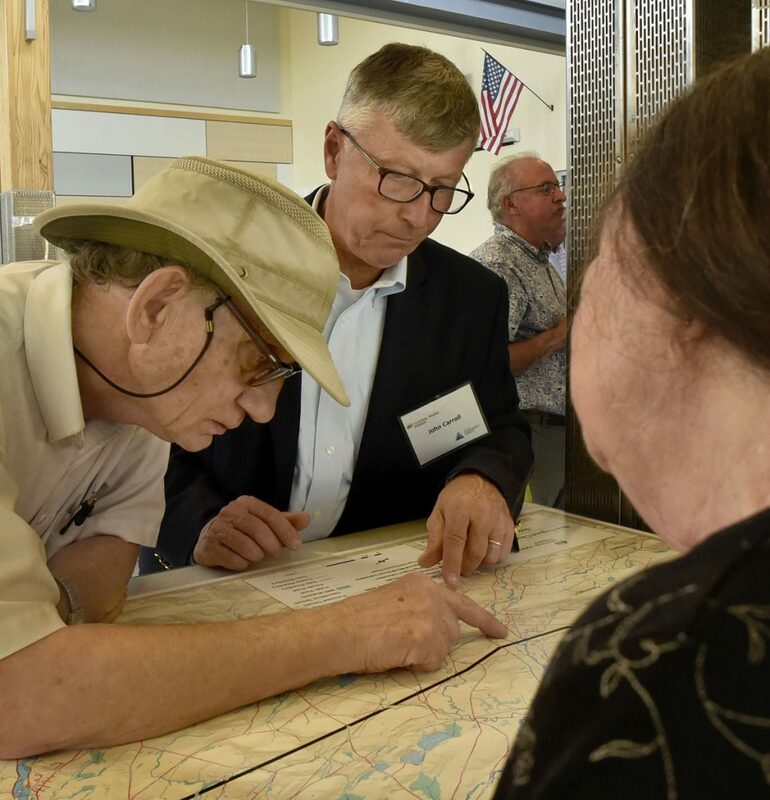 A non-profit group, Western Mountains & Rivers Corp., has negotiated a $22 million package for conservation projects and nature-based tourism as compensation for the negative impacts of the line crossing the gorge. The project still needs several state and municipal permits as well as approval from the U.S. Department of Energy, U.S. Army Corps of Engineers and the Federal Aviation Administration before construction can begin. CMP has estimated the permitting process will be complete by 2019 and construction complete by 2022.